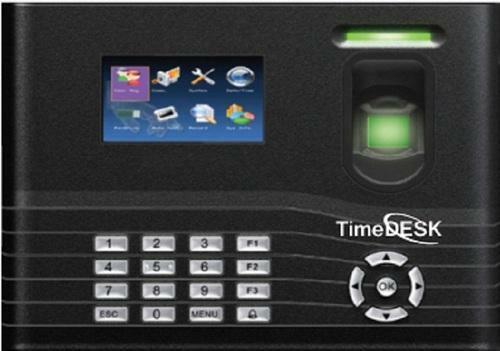 ATFT101 is a high end standalone Fingerprint Based Access Control System. The reader has TFT display which displays the Employee Name and ID along with the finger template scanned. The image quality is high compared to other reader. The finger templates can be stored in the Software's database for further use also. A trusted name in the country for manufacturer, trader, importer, exporter, retailer world class Biometric and Security Systems, our product range is a clear indication of our extensive market research procedures that guarantee the inclusion of the most demanded products in the domain. Our product range comprises Attendance, Access Control, Visitor, Labour Verification, Gym Management and various Application Software, Access Control System, Security Camera, Vehicle Tracking System and many more. In-built inspection and quality control procedures in our fabrication processes ensure that our products are tested and inspected at each and every stage of the manufacturing process. Efficient distribution and supply networks, competitive price structures and state-of-the-art infrastructural facilities have enabled us to provide customized solutions in the domain of manufacturing security and bio metric equipment to our clients spanning all over the country. Ø In-house Research & Development Centre – Helps in the development of new products. Ø All India after sales support network through Company Offices and Dealer Channels. – Able to manage the Installation spread all over India. Ø Skilled manpower in Sales / Support. – Able to give proper solutions instead of pushing through a Sales or Support. Ø Specialize in Customization and Value addition – New Version launched every year after proper feedback from the customers / Dealer Networks etc.